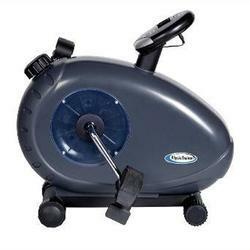 The PhysioTrainer is the first high-quality UBE available at this price, an all around best value! The PhysioTrainer is the most affordable of any Upper Body Ergometers available in the marketplace. HealthCare International now offers a custom-made table that is specifically designed and approved for use with the Monark 881e, Monark 871e and HCI PhysioTrainer. In addition, this table can be used with Hudson UBEs and wide variety of other tabletop ergometers.